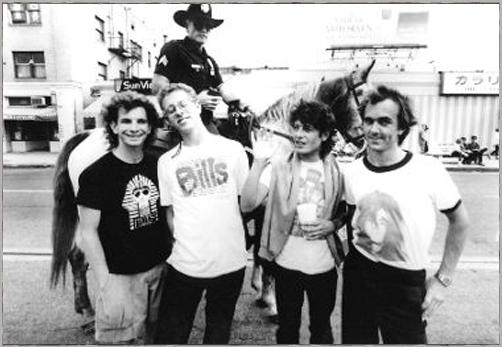 West coast band punk rock was defined by the Circle Jerks. Like the Avengers, Dils, Black Flag and X the band were spearheading a movement that gave us one of the most varied and creative modern music scenes. 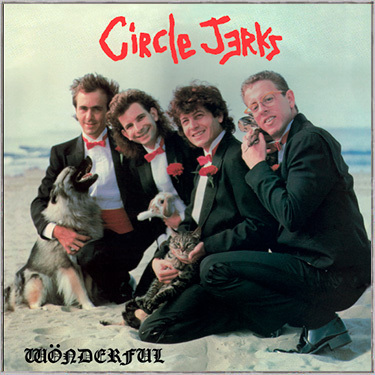 Wonderful is the fourth studio album from Circle Jerks. Featuring the mid Eighties thru mid Ninties line up of Keith Morris, Greg Hetson, Zander Schloss and Keith Clark the record features more mid tempo numbers and a heavier sound than it's predecesors. "Making the Bombs," "Killing For Jesus," "Wonderful" and "American Heavy Metal Weekend" are all hits and this newly re-mastered pressing brings them up to today's sonic standards. Originally released on Combat Core Records in 1985 Wonderful has always been a fan favorite and it's tunes have been staples in the band's past live performances.